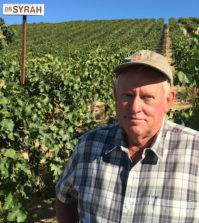 ALDERDALE, Wash. – In the next few weeks, one of Washington’s most talented and respected grape growers will harvest his last cluster of grapes. 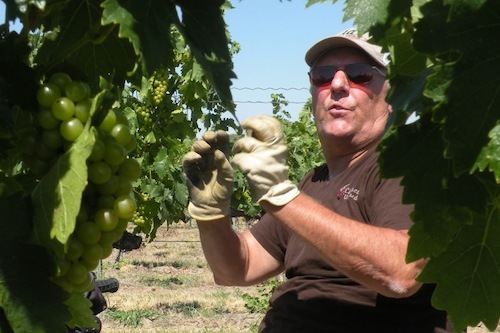 The 2014 harvest will be Paul Champoux’s last. The man who was instrumental in helping Washington earn its first 100-point wine is finishing an illustrious 35-year career amid the vines. 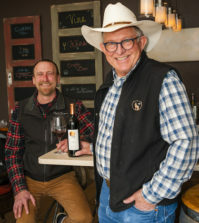 Champoux, who has overseen Champoux Vineyards in the Horse Heaven Hills since 1989, has sold his shares in the operation to his fellow partners. Dan Nickolaus, who has worked at The Benches vineyard in the eastern Horse Heaven Hills, has been hired as vineyard manager and is spending this harvest working alongside Champoux. Champoux grew up in the Yakima Valley and went to Marquette High School in Yakima. After going to college at Seattle University, he returned to the valley to work in the hops industry. He never thought about wine grapes as a career until fate stepped in. “I came down to Paterson in 1972 to help my brother-in-law for the summer, and I’m still here,” he said with a chuckle. Champoux farmed row crops for seven years before getting an opportunity to work with Chateau Ste. 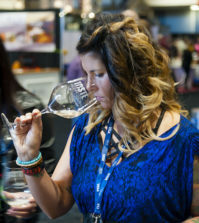 Michelle, which was in the midst of planting 2,000 acres of wine grapes overlooking the Columbia River at what is now Columbia Crest. 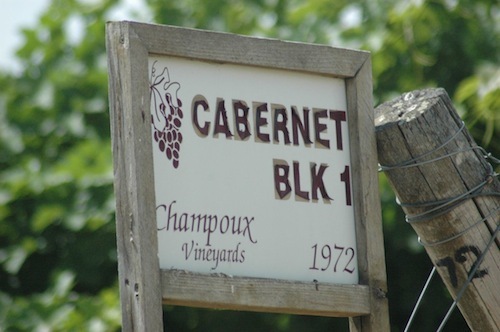 Champoux was a vineyard manager, overseeing installation of some of the plantings that took place from 1978 to 1982. During his time with the company, he came to appreciate its place in the burgeoning wine industry. “I learned a lot when I was there,” he said. When he set out on his own, Champoux took many of the lessons from his Ste. Michelle experience with him. In 1989, Champoux moved west down the Columbia River to the community of Alderdale, where he became the vineyard manager for Mercer Ranch Vineyards. 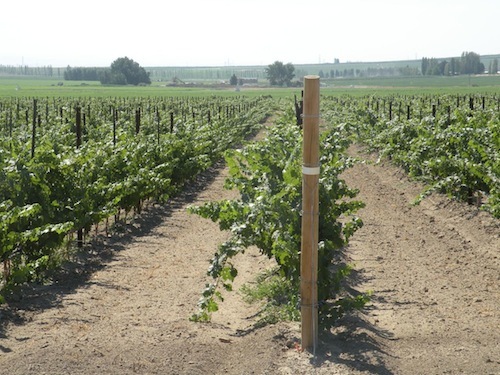 Mercer Ranch was the first vineyard planted in the Horse Heaven Hills, when Don Mercer put Cabernet Sauvignon in the ground in 1972. Those vines, among the most revered in Washington, are still there. Rick Small, owner of Woodward Canyon Winery in Lowden, began getting grapes soon after launching his winery in 1981. The next year, he bought Cabernet Sauvignon from Mercer’s Circle Block, which had been planted in 1979. A few years later, Small’s 1986 Cab from those grapes landed in the Wine Spectator Top 100 wines in the world. By the time Champoux arrived in 1989, the vineyard was not doing well. Mercer had launched a winery in 1985 – and even built a tasting room at the vineyard – but that didn’t last long. It closed in 1988. Champoux and his wife, Judy, ran the vineyard for the Mercers for a year, then the next year for the insurance company that took it over. In 1991, they leased the vineyard from the insurance company, then put together a partnership to buy it in 1996. That year, when nearly half the grapes in Washington were frozen to the ground, Mercer Ranch became Champoux Vineyards. Champoux knew he couldn’t walk this path alone. He and Judy were in their 40s, and they sank everything they had into the vineyard. They also brought in five winery partners, friends of theirs who had been purchasing grapes from Mercer Ranch for several years. They were Woodward Canyon Winery, Quilceda Creek Vintners in Snohomish, Andrew Will on Vashon Island, Powers Winery in Kennewick and Hedges Cellars on Red Mountain. 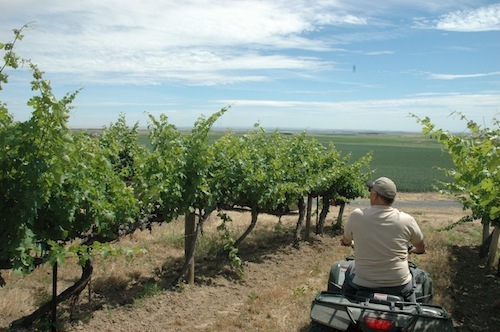 After about a year, Hedges sold its shares of the vineyard to focus on its efforts to establish itself on Red Mountain. Champoux Vineyards LLC became a mighty force, with Paul Champoux reshaping the dilapidated vineyard into greatness and the four winery partners benefiting from some of the state’s top grapes. 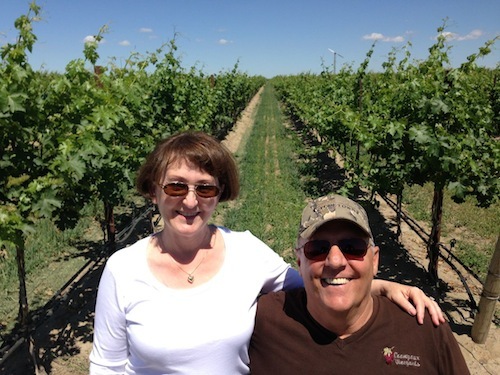 Chris Camarda, owner of Andrew Will, had been buying Mercer Ranch grapes since the late 1980s, and when Champoux approached him about joining the partnership, Camarda didn’t hesitate. “That’s all worked out pretty well for us,” Camarda said. Small, too, was thrilled by the opportunity to not only have access to more Champoux grapes, but also gain a piece of ownership in the vineyard. When Champoux and his partners bought the vineyard in 1996, it was 130 acres of planted grapes. Today, it is 190 acres – and only 30 acres of the original plantings are left: Blocks 1 and 2 of Cabernet Sauvignon, along with some Lemberger and Muscat. Champoux and his partners figured out pretty quickly that this is Cab country, and today 140 acres are planted to Cabernet Sauvignon. 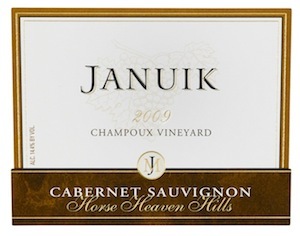 Small uses Champoux grapes in his Old Vine Dedication Series Cabernet Sauvignon, his highest-priced wine. Powers Winery makes a Champoux Vineyard-designated wine, as does Camarda at Andrew Will. 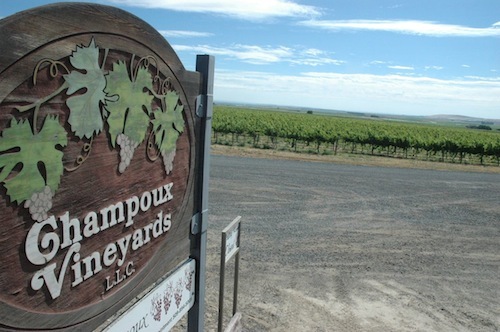 In fact, most of the 15 wineries that purchase grapes from Champoux use the name on their label, knowing that will help sell the wines at a higher price. Quilceda Creek Vintners reached the apex of Washington winemaking when its 2002 Cabernet Sauvignon (using primarily Champoux grapes) earned a perfect score of 100 points from Wine Advocate, a newsletter then owned by famed critic Robert Parker. The father-son tandem of Alex and Paul Golitzen repeated the feat with the 2003, 2005 and 2007 vintages. These remain the only perfect 100-point scores ever earned by a Washington wine from a major wine publication. The accolades were flowing for Champoux and his vines, and he knew he was on the right track with the way he treated his vineyard. He understood it was all about water management, vine health and nutrition. “That’s what makes a 100-point wine,” he said. Paul Champoux was at the top of his game, at the pinnacle of the Washington wine industry. Then disaster struck. On or around July 4, 2009, Champoux was bitten by a mosquito. He didn’t think much of it, but several days later, he began to have flu-like symptoms. His joints and muscles ached, so on July 14, he went to the hospital in nearby Hermiston, Ore., where doctors told him to drink plenty of fluids and take some aspirin. By July 16, Judy had to help him into bed because he was too weak to do it himself. The next morning, he was paralyzed. Judy called 9-1-1, and 10 minutes later he was in an ambulance heading back to the hospital. From there, he was airlifted to Oregon Health & Science University in Portland. It took 13 days to diagnose West Nile virus. All that time – and for weeks after – Champoux couldn’t lift a finger. Judy sat by his side throughout the ordeal. “I thought I could quite possibly lose my husband, my best friend and life partner,” she said. A month after arriving at OHSU, Champoux was transferred to Kadlec Regional Medical Center in Richland, Wash., an hour away from his vines. By that point, he could move his wrist. It wasn’t much, but it gave him hope. Once he and Judy realized he was going to survive, Champoux’s focus returned to his grapes – even though he remained paralyzed. “My mind was working, so I would talk to my crew with Judy holding the phone to my ear,” he said. By Christmas, Champoux was able to drink wine – albeit through a straw – and began to gather his strength for the long road to recovery. Within a year, he was in a wheelchair. By summer 2011, his physical therapy was paying off and he could walk a little ways in a walker. As if the couple hadn’t faced enough hurdles, in 2012, Judy had her own health crises, starting with an inner-ear imbalance that put her in the hospital a couple of times and left her bed-ridden for two months. In the midst of that, she severely tweaked her back. “It took several months of treatment for me to come out of it,” she said. It also gave her husband – still in a wheelchair – the opportunity to take care of her the way she took care of him when West Nile struck three years earlier. “I owe ya!” he would bellow with a laugh whenever she needed anything around the house or from the store. And in the midst of struggles that might split others apart, these times brought Judy and Paul Champoux closer together. The week of Thanksgiving 2010, a deep freeze that dropped temperatures to minus-8 struck the Horse Heaven Hills, causing widespread damage to many of the state’s top vineyards. Champoux was among them. Hardest hit was the Circle Block, a 28.5-acre block planted in 1979 that was prized among winemakers. While it seemed devastating, Champoux took it as a challenge to further improve his vineyard. He pulled out the dead and dying vines and worked the ground to rid it of nematodes. He then replanted the block with newer clones of Cabernet Sauvignon using tighter spacing. He even managed to squeeze in 32 acres of vines because he didn’t need the wheel tracks for the center pivot that once irrigated the block and give it its name. 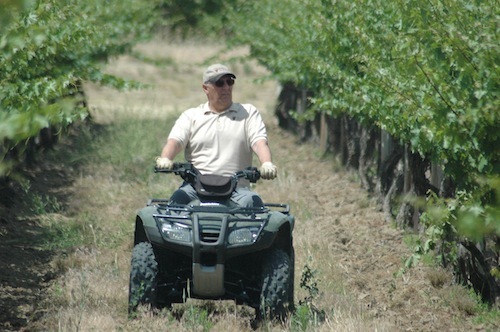 At the same time, Champoux pulled out an additional 30 acres of Riesling and replanted it to Cabernet Sauvignon, too. Last year, Champoux did not let the young vines bear fruit, which allowed them to focus on root development. He believes this will help the vineyard long term. The first grapes are coming off the new Circle Block this fall, and Champoux and his partners could not be happier. In fact, the partners are taking pretty much all of those grapes, which means some wineries that once bought Cab from Champoux no longer have access to grapes. Small is thrilled with what he’s seeing so far. With all of the health issues they dealt with over the past half-decade, retirement began to creep into the Champoux’s mind. Champoux turns 65 in October, and he admits that he might not be leaving his beloved vineyard if not for that mosquito five years ago. “No, I probably wouldn’t be thinking about retirement,” he said. His wife agrees it’s time. One of those friends, grape grower and Champoux Vineyards partner Bill Powers, died last week at age 88, and that shook the couple and affirmed their decision to move on. Champoux told his partners last fall that he was going to leave. That gave the group a year to put everything in place for a smooth transition. Rather than sell his shares to another grape grower who would take over the farming aspect of the vineyard, Champoux instead offered them to his partners. Reportedly, the Golitzens purchased all of Champoux’s shares, giving them 66 percent ownership in Champoux Vineyards. 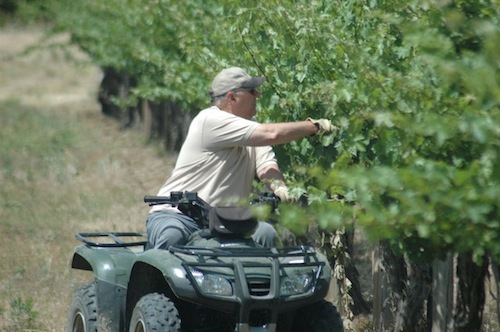 Nearly every aspect of the operation will change, with the hiring of a vineyard management company led by Dan Nickolaus that will handle the grapes and a CPA firm taking over the business side (which Judy Champoux ran throughout the years). But one thing won’t change: the commitment to quality. That’s exactly what Champoux hopes to do. With his focus back on his health and not on his vines, Champoux is determined to get out of his wheelchair for good. His wife is sure he will do it. This summer, he even played golf for the first time since West Nile struck. Champoux began playing a few years ago and enjoyed it, even though his scores never got much below the 90s. “I wasn’t very good, but I loved playing,” he said. 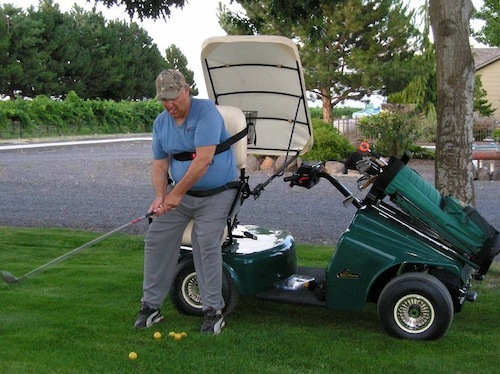 This summer, he got a single-rider golf cart made in Texas that allows him to stand up and swing a club. He surprised his nephews by showing up at the Wine Cup, a fundraiser for the Washington Wine Industry Foundation. The couple also plan to sell their house and the rest of their property at Champoux, which includes Chateau Champoux (formerly the Mercer Ranch tasting room) and 5 acres of vineyards. Their hope is to stay in the area, perhaps finding a piece of ground with a view of the Columbia River just to the south. 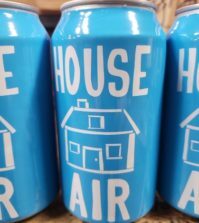 Their family is nearby, with their daughter living in Hermiston (her husband is a vineyard manager for Precept Wine, which is based in Seattle), and they hope to travel a bit as they continue to improve their health. He’ll also do a bit of vineyard consulting, perhaps with his old partners. Congratulations Paul and Judy! We are so happy for you and so inspired by all of the amazing things you have accomplished! So happy that you can golf again! We want to see you dance too! Congratulations to you Paul and Judy on your retirement. You will certainly be missed, but another Era and opportunity will certainly follow. Dan will certainly do fine job with Champoux Vineyard. The Lord’s Blessings to you both. Hope to see you soon. Andy, Thanks for the very nice article about Paul, who has been a giant in our industry.